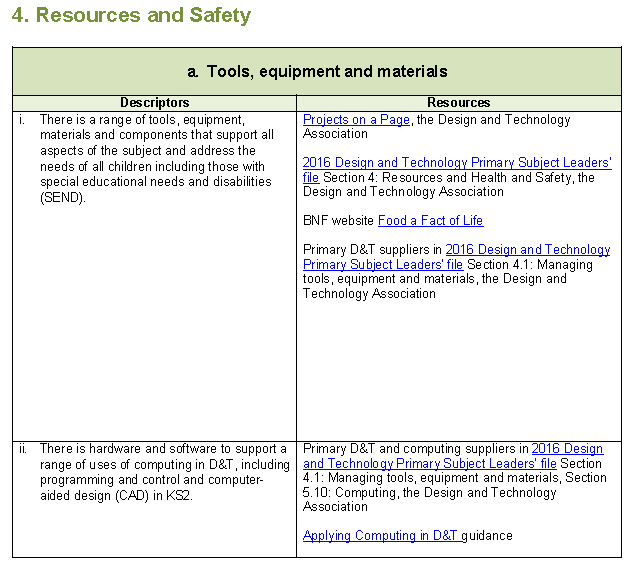 The D&T Self-Review Framework (SRF) is a tool designed to help schools determine the quality and effectiveness of all aspects of their Design and Technology provision in school. It provides a comprehensive structure to guide subject leaders when they are monitoring and evaluating the subject in EYFS, KS1 and KS2. This shortened ‘taster’ version of the Framework is available as a free PDF download. 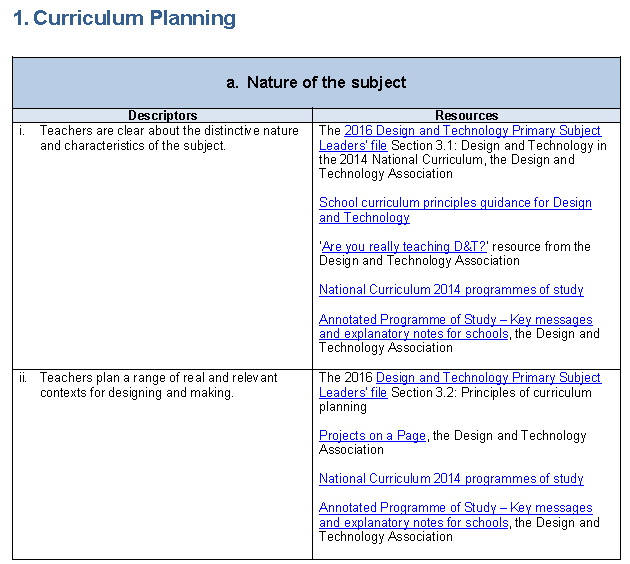 It provides a number of criteria or ‘descriptors’ to enable a rigorous evaluation of each aspect of D&T provision, with helpful advice on resources that could be used to improve practice, where required. The full Framework is available at primarysrf.data.org.uk. 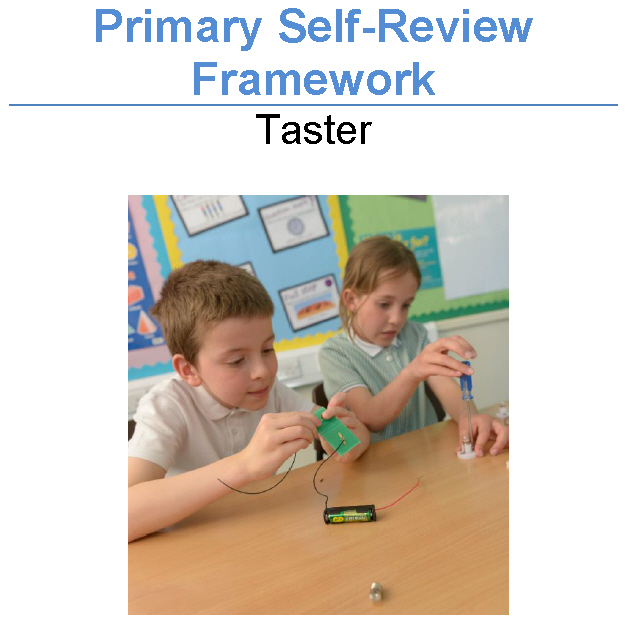 It is freely available to Primary School members of the Association and is more detailed and interactive, enabling subject leaders to upload evidence that supports self-review, with the possibility of using this to apply for the Design and Technology Association’s ‘D&T Mark’. This is a new quality mark awarded to primary schools and secondary departments that demonstrate excellence in Design and Technology provision. The D&T Association will recognise schools who achieve the D&T Mark as ‘Centres of Excellence’. We will work with these schools to develop resources, run CPD/branch meetings and as a location for visits with both UK and international visitors, government officials and industry. For more information or to register for the Self-Review Framework visit primarysrf.data.org.uk; where you can complete eight quick-fire questions to get an instant overview of your school’s strengths and areas for development.